Alex Anzalone Is Commit No. 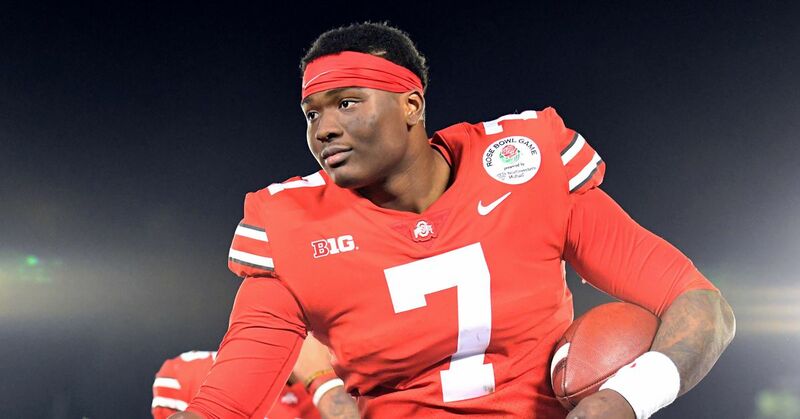 11 for Ohio State, Will Mike Heuerman Become No. 12? When 4-star linebacker Alex Anzalone (Wyomissing, Penn.) chose to attend Ohio State's spring game last Saturday instead of taking a trip to Notre Dame or Penn State, it became clear which school stood out to him so far in the recruitment process. After watching the Buckeyes in action, Anzalone decided to become the newest addition to Ohio State's 2013 recruiting class. "...It has been an awesome experience but OSU is the right fit for me. #BuckeyeNation," Anzalone tweeted shortly after his commitment. The nation's No. 16 outside linebacker, according to Rivals.com, held offers from national championship contenders such as Alabama, Arkansas, Georgia, Michigan and USC. The Buckeyes' main competitors for Anzalone's services though were Notre Dame and their Big Ten rival, Penn State. Despite a recent trip to Penn State and a glowing review of Notre Dame at the end of March, the Buckeyes were able to stand out from the pack. Much of their distinction had to do with defensive coordinator Luke Fickell's pursuit of the Wyomissing Area High School standout. "I probably talk to Coach Fickell the most," Anzalone said in mid-April. "They just tell me that they really want me and they think I can be a special player." Before making the journey to Columbus for their Scarlet-Gray game, Anzalone was forced to postpone a return trip to Florida, his father's alma mater, previously scheduled for last Friday. The 6'3", 220-pounder is the 11th commitment in Ohio State's 2013 recruiting class and gives the Buckeyes 10 prospects with at least a 4-star rating. Anzalone is the only linebacker commit, and it is unlikely that the Buckeyes will use another scholarship on a linebacker in the 2013 class after they signed five of them a year ago. However, the Buckeyes may save a spot for Bishop Luers High School star Jaylon Smith (Fort Wayne, Ind. ), who is the nation's No. 5 outside linebacker and No. 34 overall prospect. Notre Dame appears to be the frontrunner in Smith's recruitment at the moment, though. Ohio State may not have to wait very long to secure commitment No. 12 for next year's recruiting class. 4-star tight end Mike Heuerman (Naples, Fla.) was impressed with Ohio State's spring game to say the least and is set to make his decision later this week. "My thoughts on the spring game was that it was nuts," the nation's No. 10 ranked tight end said Sunday afternoon. "I went to Miami's spring game and there were maybe 2,000 people there on a beautiful day compared to 80,000 on a roughly ugly one at OSU." Heuerman spent much of the day with several of the other prospects in attendance, along with Ohio State's director of player personnel Mark Pantoni. "We were with (Mark) Pantoni the whole time," Heuerman said. "After we went back to the Woody and a few of us had one-on-one meetings with Coach (Urban) Meyer and that is when Alex (Anzalone) committed." According to the article from BuckeyeGrove.com, Heuerman will decide between LSU, Miami (FL), Notre Dame and Ohio State on Friday. Finally, the Buckeyes also have an early jump on the class of 2014, as offensive tackle prospect Jimmy Byrne (Cleveland, OH) took in Ohio State's spring game over the weekend as well and came away impressed with Meyer's new offensive scheme. "It was definitely interesting," Byrne told Marc Givier of BuckeyeGrove. "It was interesting seeing the new offense and the no huddle and seeing how the offense worked, it was pretty good." The St. Ignatius High School standout is currently the only class of 2014 prospect in Ohio with an offer from the Buckeyes, which puts Ohio State at the top of Byrne's list at the moment. "Right now, Ohio State is definitely at the top of my list," Byrne said. "They are the only school to offer me right now but I don't have anything to compare them to. I'd like to look at a couple other schools before I make any decision." Byrne went on to say he plans to attend both Ohio State and West Virginia's camps this summer. Zach Dirlam is the Lead Editor of the College Basketball section as well as Big Ten columnist for the FOX Sports/MSN/YardBarker affiliate website Sports at Work. Check out his blog, Dirlam’s Dirty Dugout Sports Blog, which features this story, along with other articles and video reports on major sports.